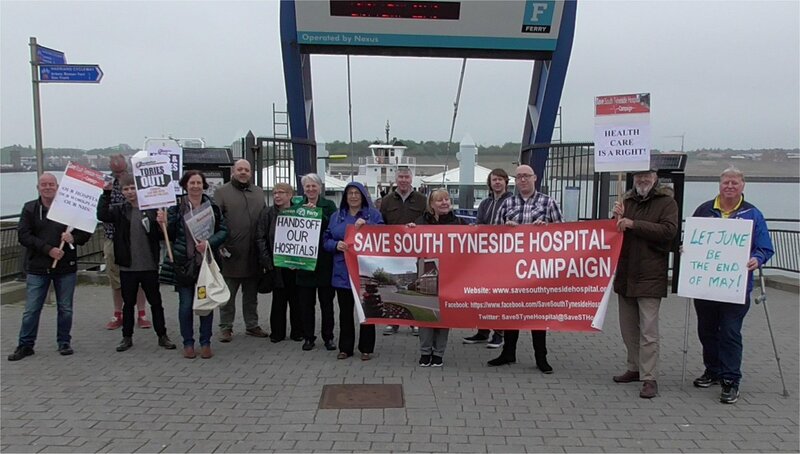 ← Successful Meeting to Organise “Save our NHS” on the Isle of Wight. On Monday, May 22, in a BBC interview with Andrew Neil, Theresa May was asked about the Conservative manifesto pledge on health that it claims would implement “the most ambitious programme of investment in buildings and technology that the NHS has ever seen”. In her answer Theresa May claimed that there would be an extra £10bn of capital funding for the NHS over the next Parliament if the Conservatives won the general election. She claimed that building and technology funding was “separate from the NHS revenue funding” and said that the capital funding would come from a “variety of sources” but refused to give further details other than to say that “we are backing the proposals in the Naylor Report”. NHS Property Services (NHS PS), formerly NHS Propco, was set up in 2012 following the Health and Social Care Act, having taken over £5bn worth of property – some 3,500 properties, including offices, primary care and community health facilities formerly used by the Primary Care Trusts. On this the Naylor report says a shadow form of the NHS Property Board should be set up immediately and “consider if the functions and residual assets it inherits from the abolition of Primary Care Trusts (PCTs) should be divested back to providers.” Otherwise all this property will become part of this great sell off of NHS property being implemented by a future Conservative government, or part of it as Trusts are forced to dispose of NHS property and land through the STPs or to cover their “deficits”. It is no wonder that Theresa May was reluctant to mention more details, when she said that “investment in buildings and technology” would be funded by a “variety of sources” and when this includes the greatest NHS property sell off ever seen and the increasing use of private capital and privatisation of community health services implicit in this report. In this respect the creation of the Accountable Care Organisations (ACOs) modelled on the US style private health care system are already being talked about as one of the models for the STPs which the next government will use. In the present battle to safeguard the future of the NHS and to build an alternative future, what is being further revealed by Theresa May’s plan for NHS infrastructure is the neo-liberalisation of health care and the aim of destroying the social ownership of the NHS and the destruction of public assets and public authority by a central government that represents the neo-liberal interests of health and and other monopolies. This contemporary development is a systematic attempt to wreck the public health care system by centralising the destruction of public authority over the NHS and hive off its assets to the rich. It is why the people should continue to fight to establish themselves as the new public authority that upholds the right of all to health care and demands social ownership of the NHS by building the independent political movement of the working class and people to safeguard the future of the NHS.